Be wary of VOCs—toxic chemicals commonly found in paints and other household products. VOCs, or volatile organic compounds, are chemicals that evaporate easily, releasing potentially harmful compounds into the air. They are commonly used in paints and other household products that contain solvents. VOCs are known to cause respiratory irritation and other health effects, but the long-term consequences of household exposure to these compounds are not yet clear. Some VOCs are known to cause cancer in animals and are suspected, in certain concentrations, of causing cancer in humans. It’s wise to limit your family’s exposure to VOCs during your home renovation projects. When you’re painting, choose low-VOC paints and make sure that the area you’re working in is extremely well ventilated. 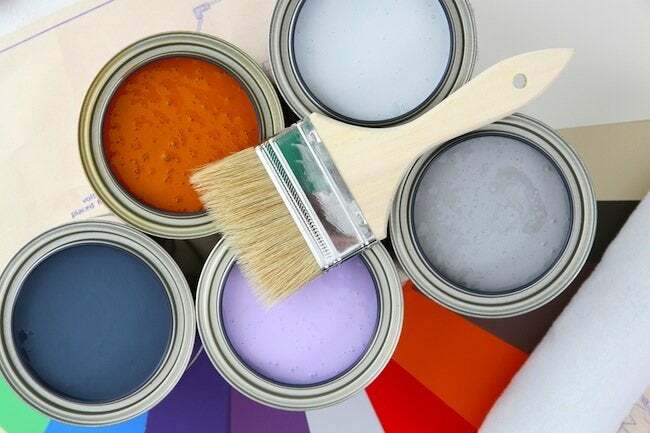 VOCs are at their highest concentration during painting and while the paint is drying, so once a job is finished, try to stay out of newly painted rooms for a few days or arrange to sleep elsewhere. Be careful with leftover paint. Make sure paint can lids are firmly closed to limit off-gassing during storage. Once the lids are secure, turn paint cans upside down to create an airtight seal.